Kumbh Mela is one of the largest spiritual gatherings of people on Planet Earth. It is celebrated four times over the course of 12 years, the site of the observance rotating between four pilgrimage places on four sacred rivers — at Haridwar on the Ganges River, at Ujjain on the Shipra, at Nashik on the Godavari, and at Prayagraj on the confluence of the Ganges, the Yamuna, and the mythical Sarasvati. Each site’s celebration is based on a distinct set of astrological positions of the Sun, the Moon, and Jupiter, the holiest time occurring at the exact moment when these positions are fully occupied. Attendees at the Kumbh Mela come from all walks of life, ranging from sadhus (holy men), who remain naked year-round or practice the most severe physical discipline, to hermits, who leave their isolation only for these pilgrimages, and even to silk-clad teachers using the latest technology. Vast crowds of disciples, friends, and spectators join the individual ascetics and organisations. According to an ancient legend in Bharat, it all began with a massive battle ‘Samudra Manthan’, the Churning of the Ocean, between Devas (Gods) and Asuras (Demons). From which emerged the Amrit Kumbh, the pot of nectar. As the Manthan happened in the sky, the drops of Amrita (nectar) fell down from the Kumbh, across four holy rivers. And from there on, these four spots were established to be the holy quadrangle. Millions of pilgrims gather here from across the world, with a belief that taking a dip in the river Shipra on this occasion, will purify their soul and overcome all their sins. Kumbh Mela VR is a Virtual Reality experience on the Kumbh Mela. In 2016, Kumbh Mela happened in Ujjain, M.P., India. 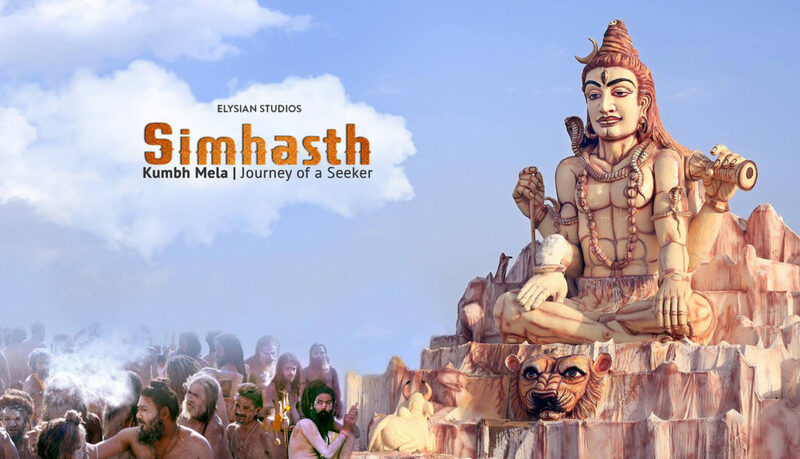 Ujjain’s Kumbh Mela is known as Simhasth, the name derives from the fact that it is held when the Jupiter is in Leo. Let’s join Kumbh Mela — the largest spiritual gathering on Earth!